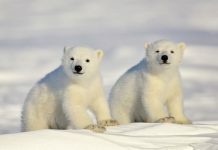 Are there Polar Bears in Greenland? 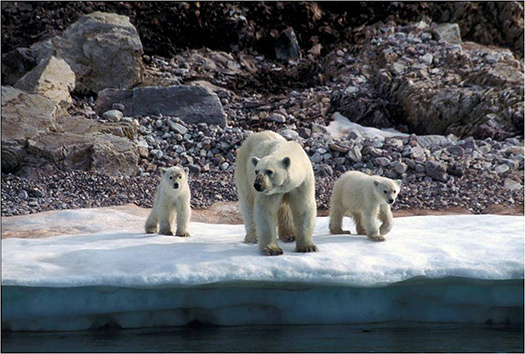 Polar bears inhabit the northern part of the Greenland Sea and are abundant in the Baffin Bay. The Baffin Bay lies in between Greenland and Canada. Greenland is a place where polar bears are hunted by the professional hunters. 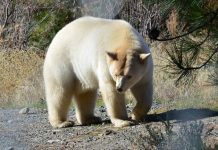 The professional hunters are typically natives of Greenland which is why authorities have allowed them to hunt polar bears. These hunters earn their sole income from bears. For them there is no other income source and polar bear is more than simply an animal. 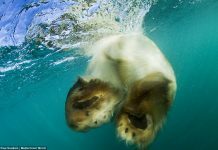 Thus their living depends on the death of polar bears. Anyone can be allowed to hunt bears in Greenland if he or she can start living like native Greenlanders do. 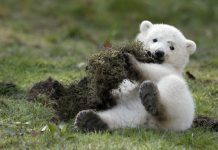 The ban on polar bear’s hunting was first imposed in 1994 but the order was reinforced in 2005. The order also prevents the indigenous people from hunting polar bears in large numbers. Now Greenlanders can only hunt no more than 150 polar bears each year. 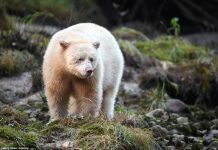 The government also gave permission to hunt polar bears for recreational purposes perhaps for the first time. 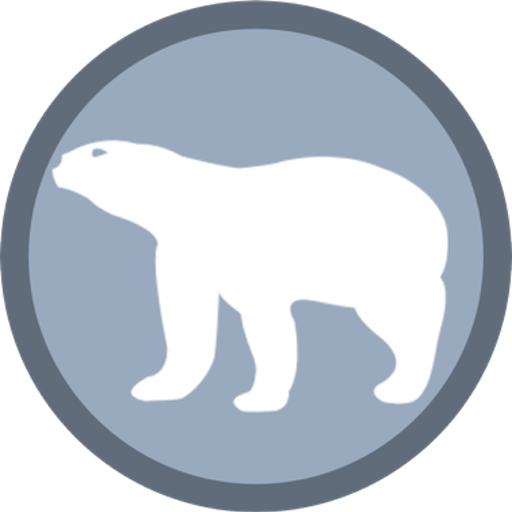 Read More: How Many Polar Bears are left in the World? Harvesting in Greenland is probably an uphill task for the weather and ice conditions offer reasonable difficulties. Hunters must use their dog teams to chase polar bears in Greenland. At the beginning of the 21st century the Home Rule Government of Greenland worked hard to modernize polar bear harvesting methods and also they introduced a quota system. Learn More: Are there Polar Bears in Russia? Scientists have not been able to estimate the population of polar bears in Greenland. However the largest population occurs on the eastern coast of Greenland including Fram Strait as well as Greenland Sea. This particular population size is thought to represent native polar bears of Greenland. 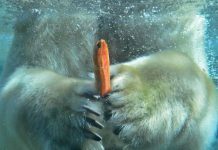 Each year from 1999 to 2003 native Greenlanders shot 70 polar bears living in the southwestern and eastern Greenland.